I’m a bit new to the game, i’m on page 11 of plankerton currently… What do you think of my plank storm shield? Keep getting better, nice start. Once thing, wood isn’t evil you can use it in Twine but start upgrading it to T3, it’s cheap and fast. Its a complete mess. Just like all of our Plankerton SSD’s were (unless you had someone who actually knew what they were doing helping you to build it). 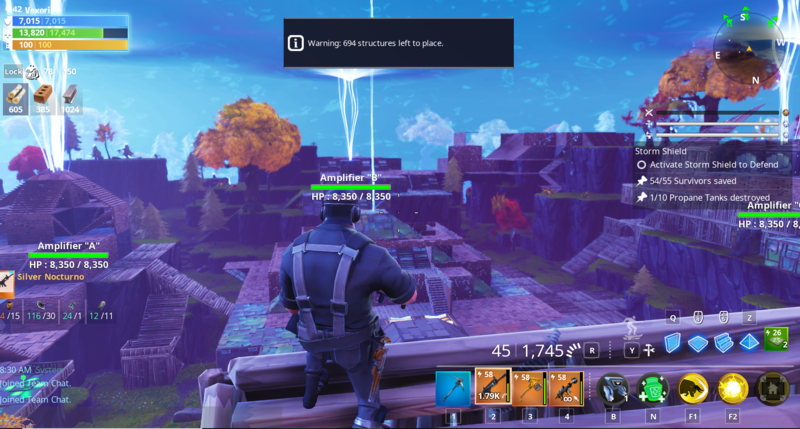 How are you reaching the build limit in *Plankerton*?! Upgrade some stuff instead of spamming builds. Also you need some trap tunnels in your life. It’s a big big, spread out and messy. I think plankerton is also a great time to start experimenting with traps and building “Trap tunnels”, as knowing how to do it will seriously benefit you later in the game. Still better than every stonewood storm shield ever. Forgot to mention, I do have lots of trap tunnels around, most of them aren’t visible in the photo. Family Connections FORTNITE GAL ~ Reflective ~ Window/Car / Truck/Boat / Yeti/Laptop / iPhone/Wall DECAL WITH ALCOHOL PAD~ Size 5" X 1.55"